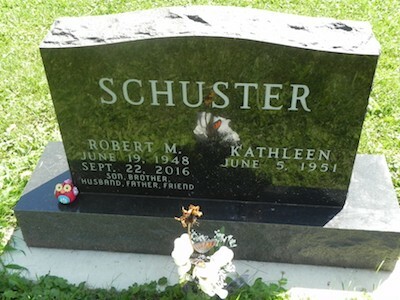 Bob Schuster, son of Maynard B. Schuster and Hazel Beth Sackett, was born in Green Bay, Brown County, WisconsinG, on 19 June 1948. He died aged 68 on 22 September 2016 and was buried at Fairwater Cemetery, Fond du Lac County, WisconsinG.1 He married at Canton, Suffolk County, MassachusettsG, on 12 August 1972, Kathleen Wiatrowski. 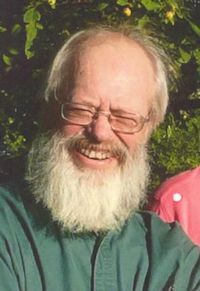 Bob was a founding member of the Sackett Family Association. Bob's sister Pam Schuster Offerdahl is a Sackett Family Association member.